A power center, composed of two large retail buildings sited with an ample parking lot, that creates a landmark shopping area in Holyoke. 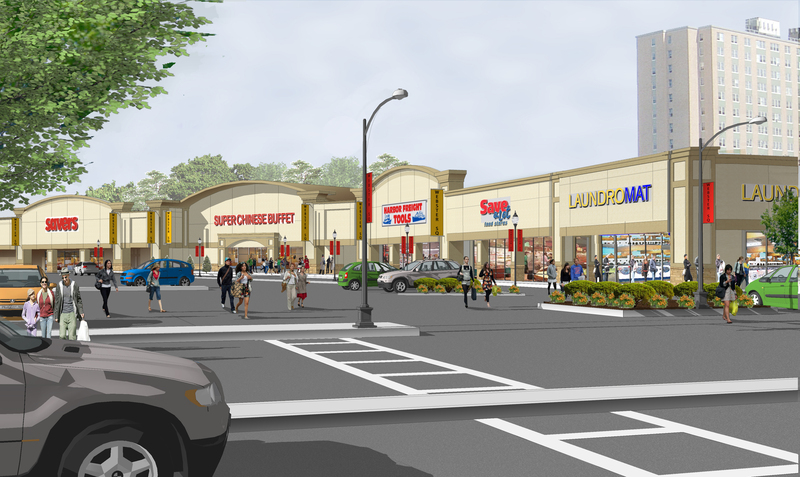 Tenants included Big Y World Class Market, while the scope of work included ground-up design for the entire other building and site. A conceptual design for a new retail development in Marshfield, a town on the South Shore where Cape Cod Bay meets Massachusetts Bay. 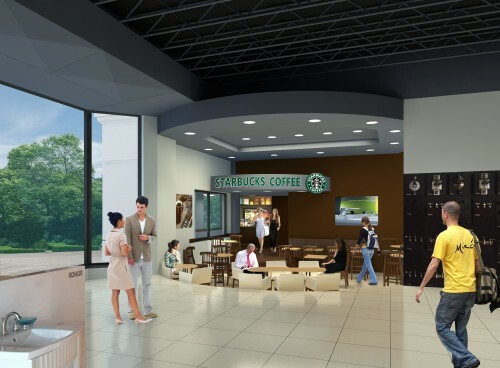 This new retail center was conceived by Citizens Group, Town Historical Commission and the Town Planning Department to be a catalyst for future developments. This project creates a vibrant environment in the area where the Town’s governmental, public and religious entities are located. 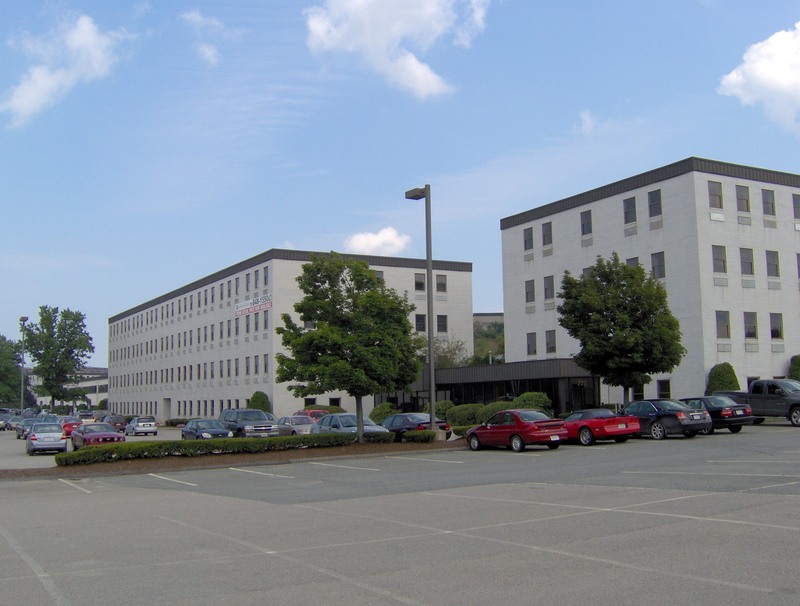 An existing one-story 34,000 sf building located off Route 93 in Braintree. The conceptual design for this project included creating two stories of running tracks, one located on the additional roof between the existing four-story buildings. The dynamic new entrance and ground floor level includes a generous concourse linking the three buildings. A conceptual design for an Islamic Center that brings all the religious, cultural and educational activities under one roof, creating a stronger community in the area. 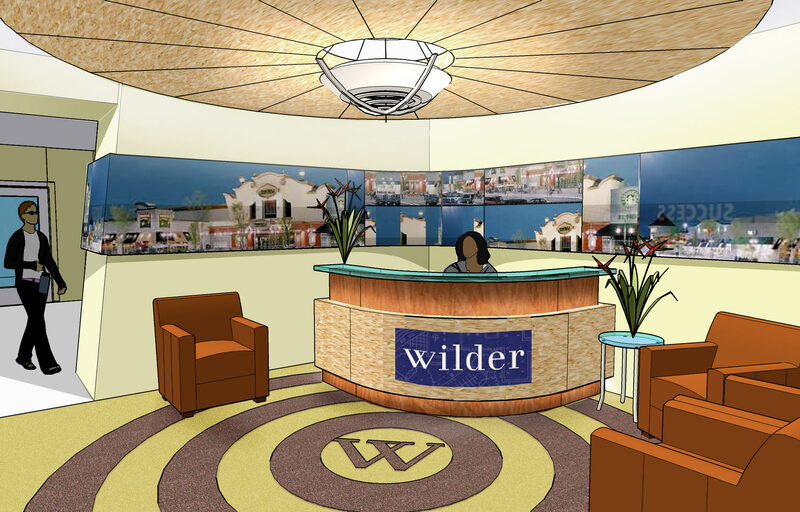 An interior design and fit-up project of Wilder’s new office on the 13th floor of the Prudential Tower. The project combined the main reception area, two conference rooms, 15 private offices and a common business area of 24 units.